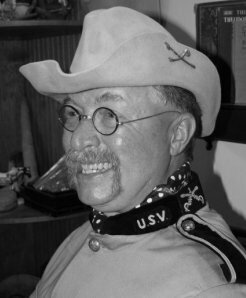 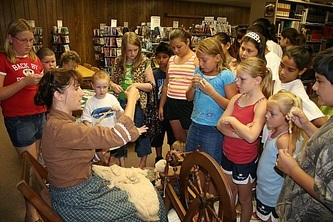 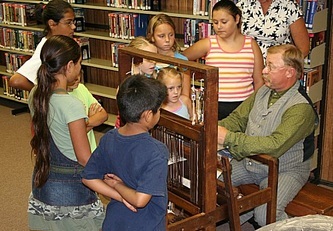 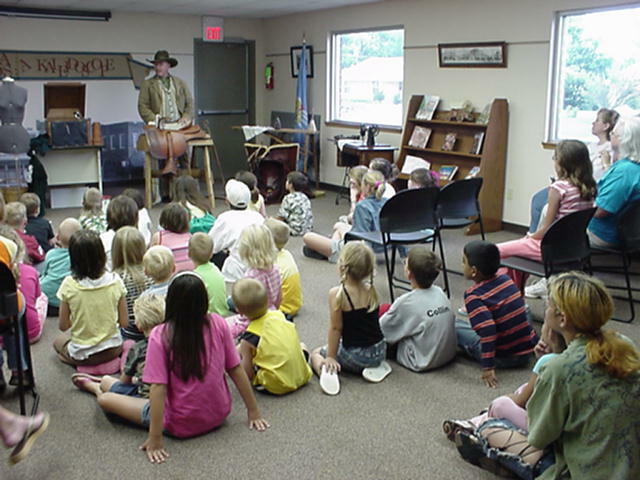 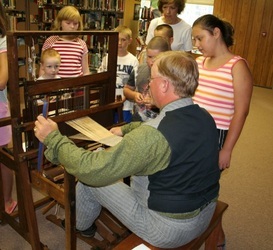 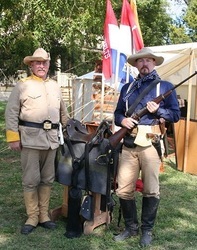 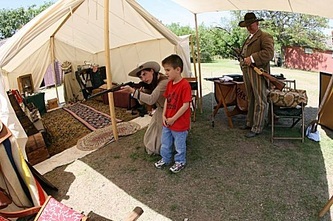 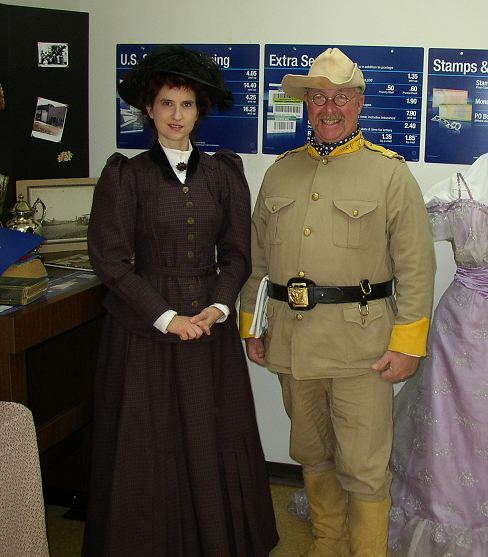 These are "active" history programs, with antiques and reproduction props to help you live a portion of history. 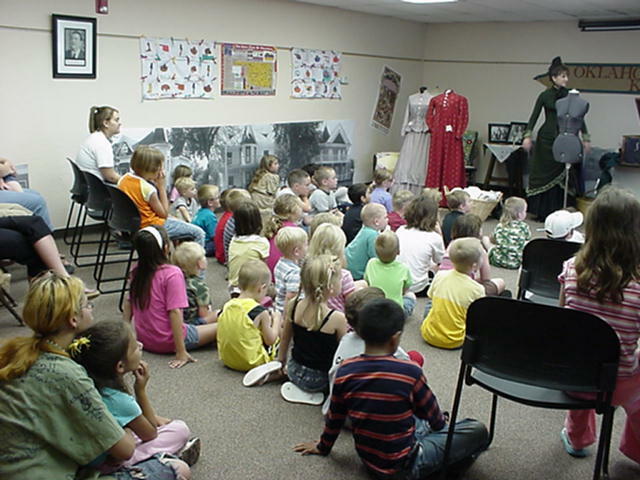 Consulting, Research, and other programs and demonstrations are available in Doug & Marna's areas of interest. 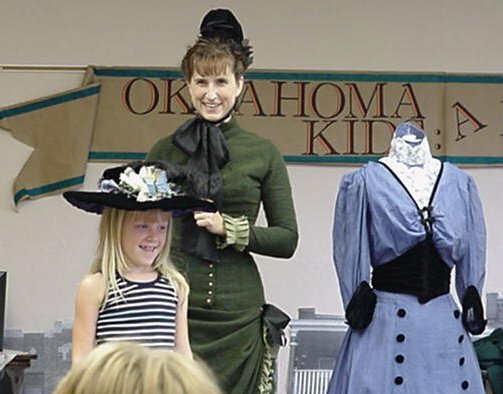 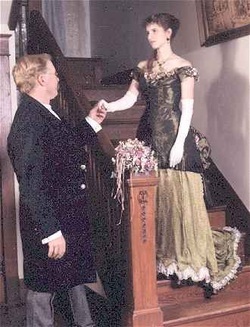 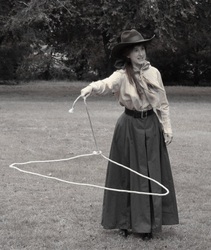 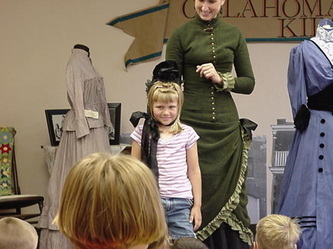 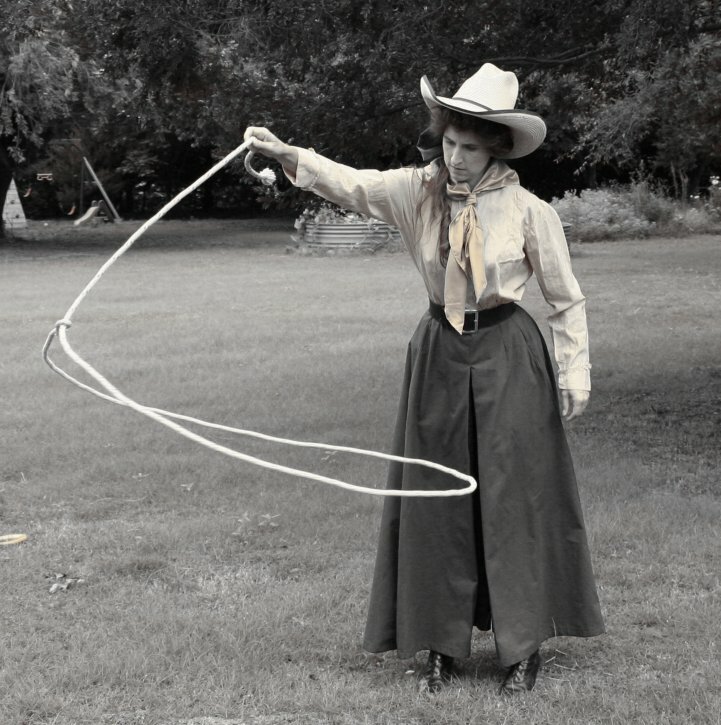 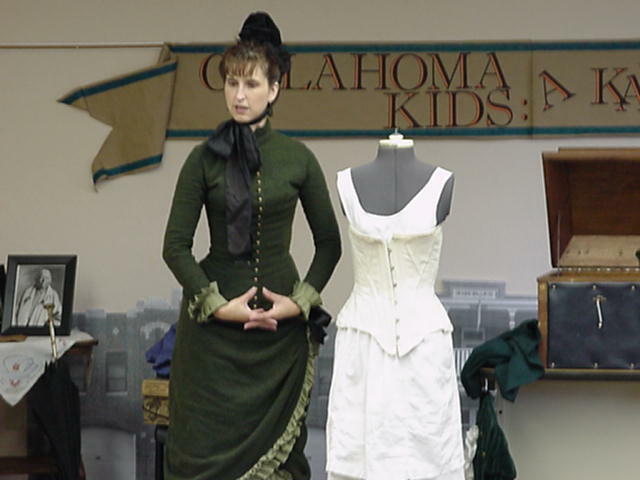 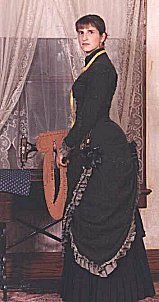 Dressed as an 1880's seamstress, Marna Jean will discuss everyday and special clothing of the late 1800's, with some helpful hints on recognizing how old a costume is. 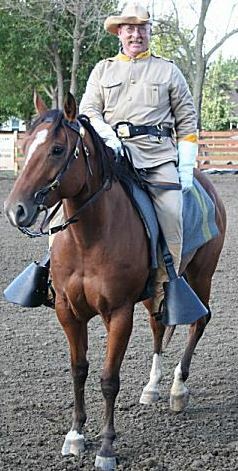 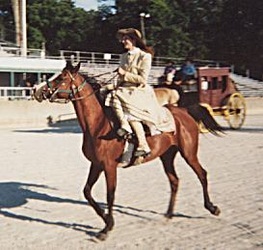 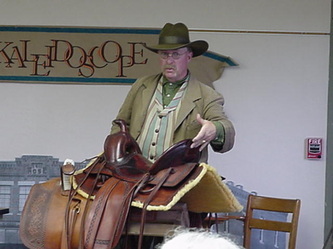 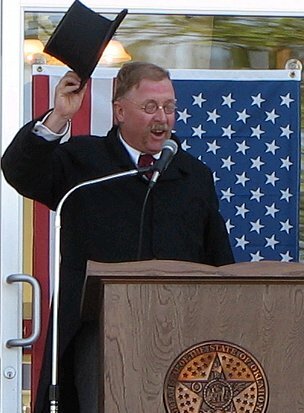 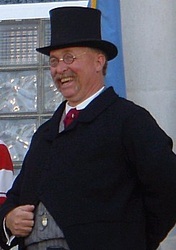 Doug will be wearing and discuss the specialized clothing of the cowboy in the 1800's. 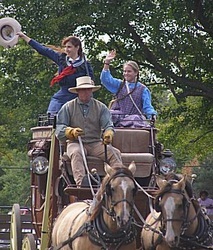 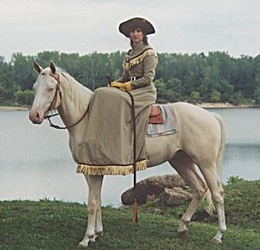 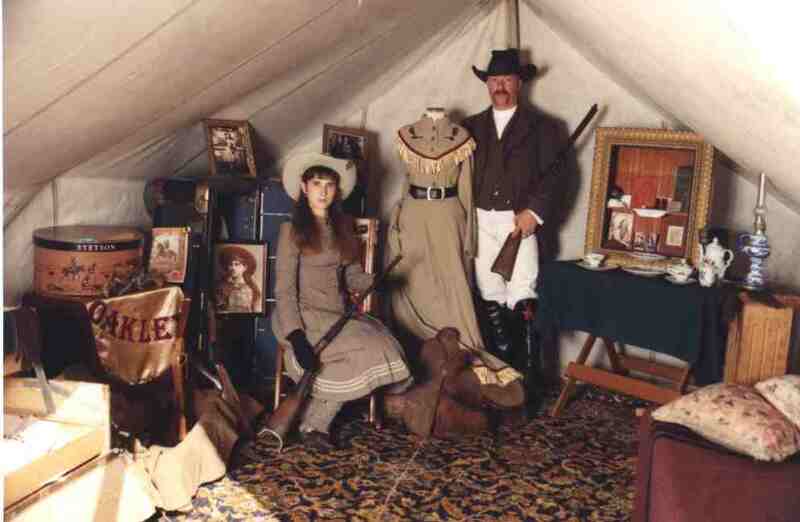 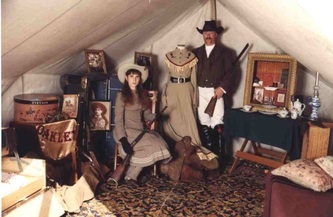 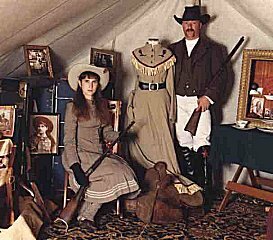 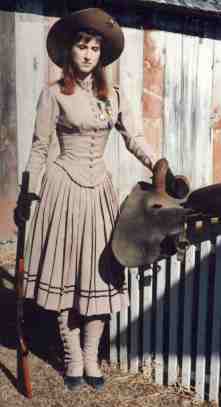 Lucille and Zack Mulhall-- Recognized by Theodore Roosevelt and Will Rogers as America’s First Cowgirl. 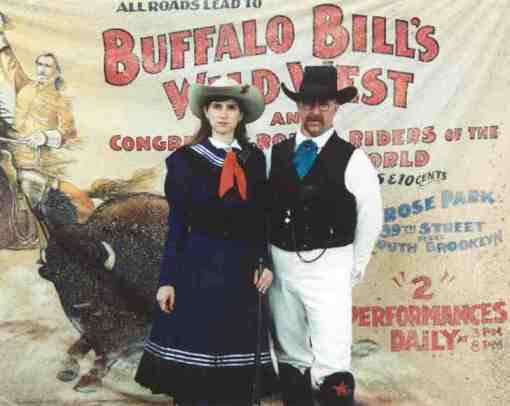 Zack tells of the landrun that brought them to Oklahoma, and the adventures of a young lady who wasn't’ afraid to compete with men. 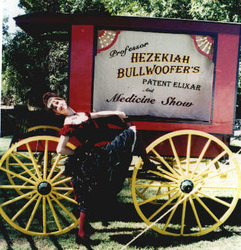 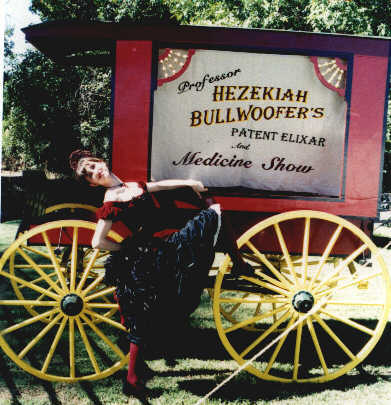 Complete with a bright gypsy wagon, conniving snake oil salesman, and pretty lady- this show is a rollicking good time- period comedy for the whole family. – This program can include any of our many historical trades. 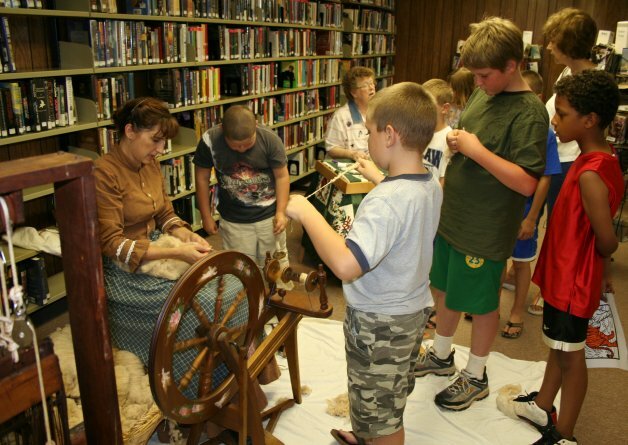 Spinning and weaving, leather work, herb lore, dressmaking and much more. 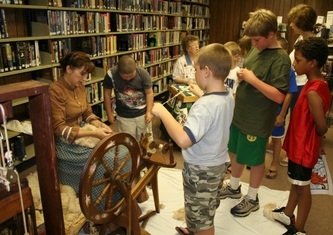 Let us know your group’s interest, and we can probably suggest something that will grab their hearts. 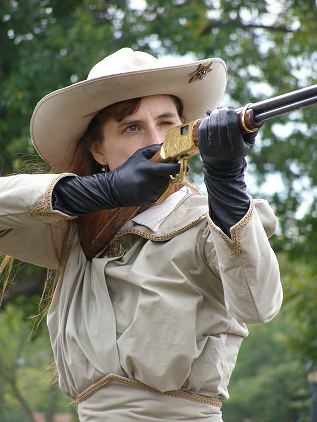 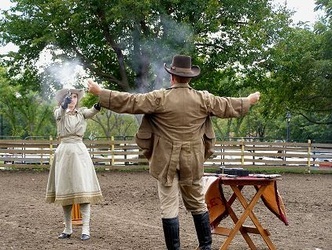 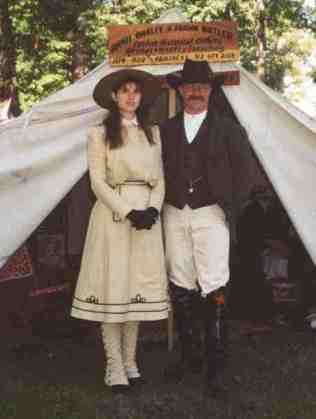 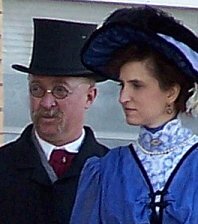 Living in the Past: History from a reenactors standpoint - Did you ever think I wish I lived a hundred years ago? 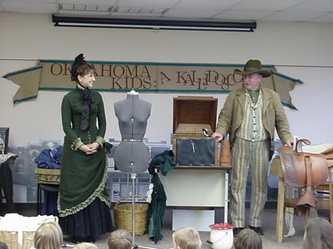 Here's how to go about it, from choosing a character, to dressing for the part, to where to go for supplies and support. 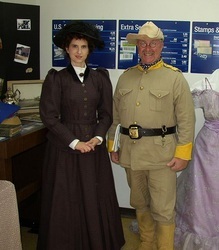 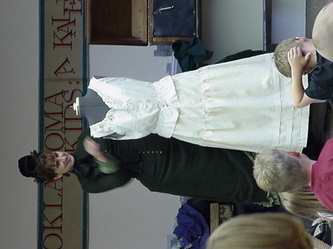 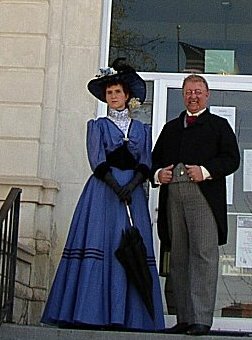 Both dressed in late 1800's clothing. 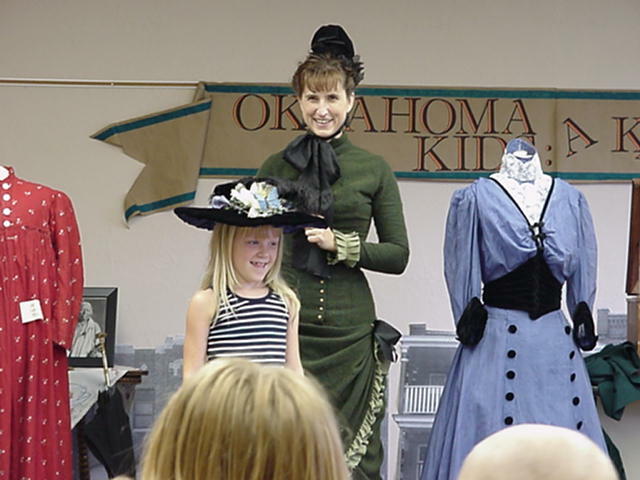 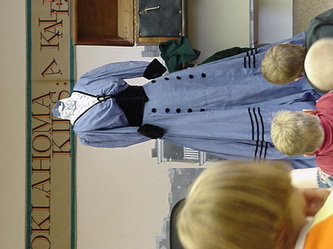 This program can also be tailored to help volunteers create an appropriate wardrobe, with a discussion centering on appropriate timeframe for your historic site or group.